I was also able to secure a plot in a community garden that just happens to border my property. (This is the same community garden that brought on the Attack of the Skanky Squash Beetles last year that decimated my cucumber crop. No hard feelings, though.) I’m seriously excited about not having to tear up any more of my yard for more sunny garden space (I’m running out, truth be told)  someone with a big honking John Deere will be prepping that field for planting. My plot’s going to be beautiful, full of colorful veggies and flowers, with nary a zucchini in sight (if the beetles descend again this year, my plot will be immune, and I’ll be taking extra [organic] steps in my main garden to ward them off). The extra space also means growing even more varieties of heirloom tomatoes. Oh yeeaahhh … fresh, juicy tomatoes … with basil … and balsamic dressing … [nom nom nom]. 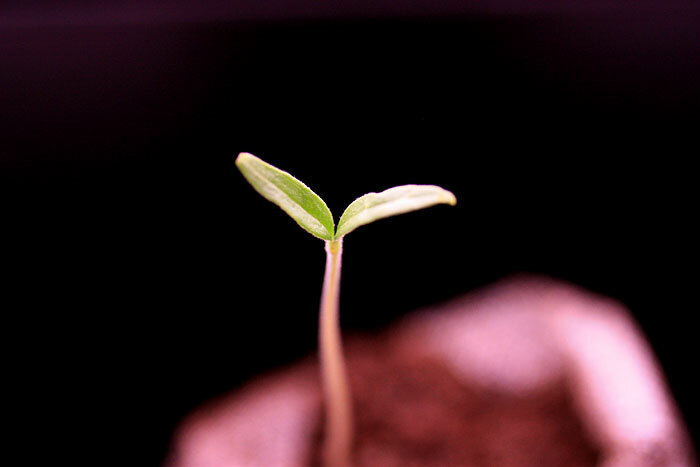 Little Red  hard to believe that just six weeks ago, he was barely pushing his way out of the soil. This is why I find gardening so amazing. 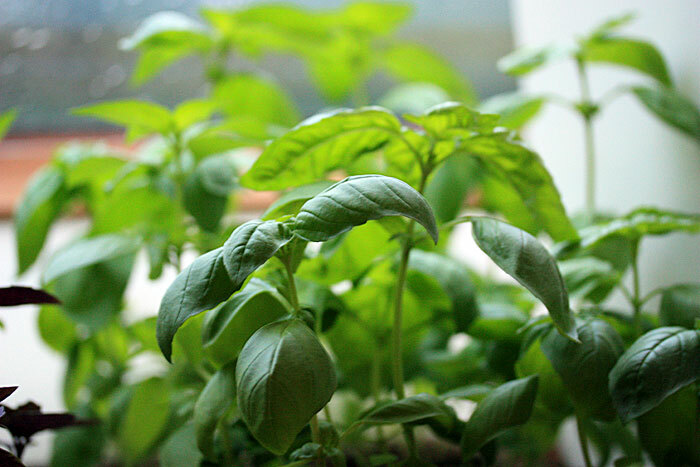 Sweet Basil. They’re growing so beautifully I’ve started pinching off their new growth so they’ll be nice and bushy when they go in the ground. 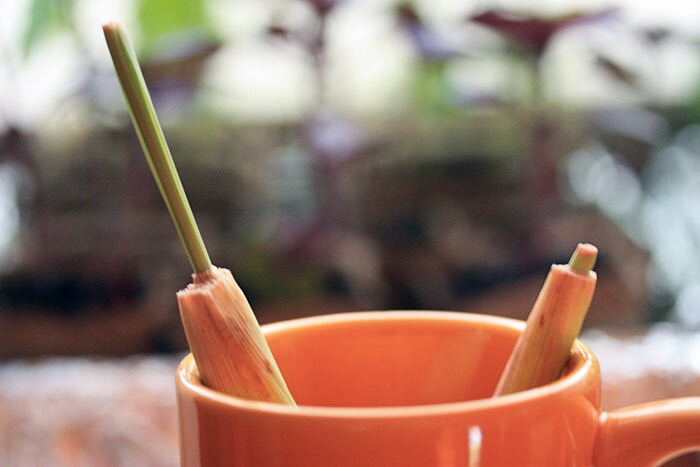 Two lemongrass stalks, sending up shoots. Cool! 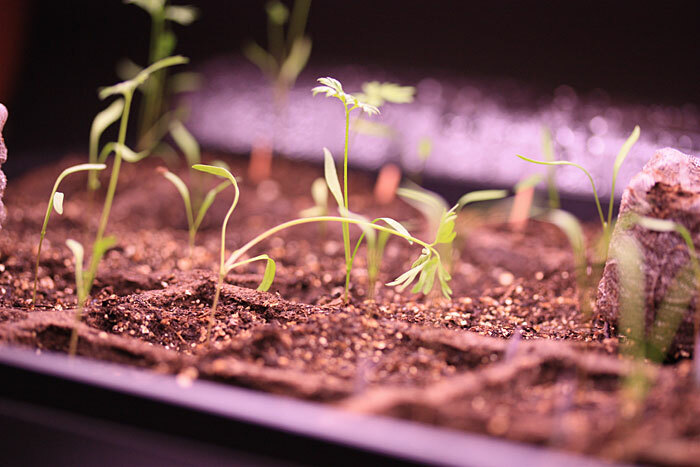 My indoor carrot sowing experiment is, once again, working like a charm. 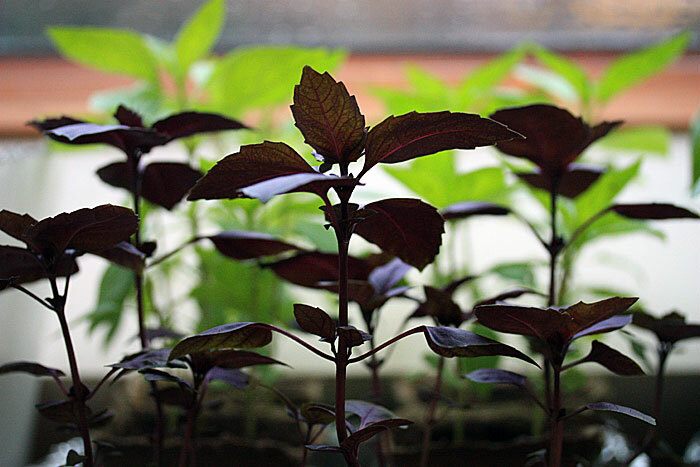 I have 44 seedlings (out of 50) in various stages of leafing out. They’re ready to go in the ground, actually. What wonderful pictures! My garden is doing great also! Can’t wait for my first tomato sandwich!!! You are not kidding – I’m dying for a tomato. The craving is so bad that I keep eyeballing the pyramids of grocery store tomatoes (that’s how bad the craving it is – I mean, grocery store tomatoes! Yuck!). The end of July seems so far away….